It’s Friday night. You’ve ordered pizza and the family is all here. What better way to spend it than with a great board game? 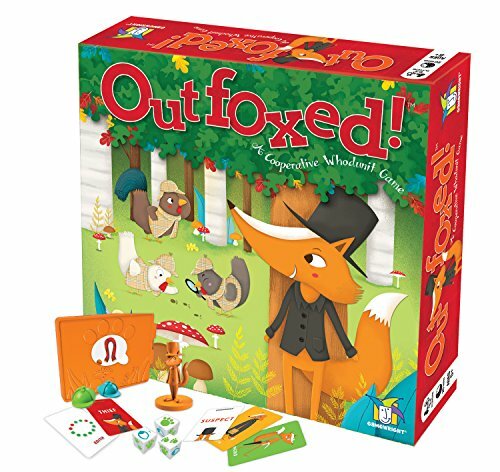 But if you are tired of the same-ole-same-ole, you’re probably on the hunt for a new board game that the whole family will love, especially the kiddos. Not only are board games a lot of fun, but they are also a great way for kids to learn important skills while having fun. Board games can teach kids how to follow rules, play fair and be a good sport. Whether a classic or something a little newer, keep reading to find out our top 10 picks for the best board games for kids. These games are great for entire families or for kids to play with siblings and friends. Of course, age plays a big factor too and we’ve made sure to include board games for toddlers all the way up to teens. Sure, they are fun, but kids can learn a lot from playing a board game too. Let’s take a look at some of the surprising skills your kids will learn while playing a board game with the family. Problem-solving. Need to get from point A to point B? Or like in Monopoly, how do you get out of jail? What better way to learn how to solve a problem than with a game. Hand-eye coordination. This is especially important for young kids. Interactive games that require building or moving pieces around or even a simple matching game will help kids improve hand-eye coordination. Sportsmanship. We get it. Losing is tough. Board games can help teach kids the hard to learn but important skill of being a good sport whether they win or lose. Social skills. Nothing beats some quality time with friends and family. Whether they are playing by themselves or part of a team, board games are a way for kids to work on their social skills. Matching Skills. For preschoolers and toddlers, board games can be a fun way for them to learn their colors and shapes. We’ve included games on the list that do just that. Literacy. It’s a great way for pre-readers and early readers to learn words and get better at reading. 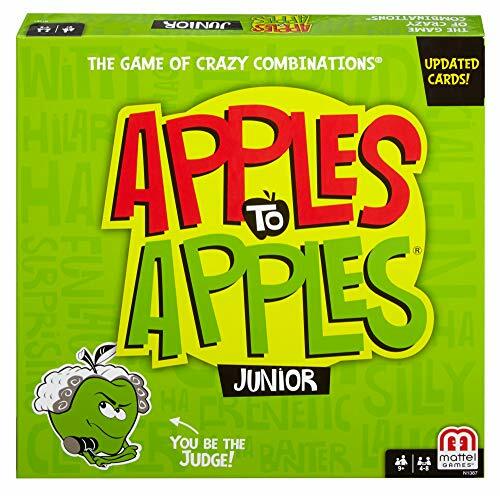 Games like Zingo or Apple to Apples Junior help kids build their vocabulary while having fun. Connection. Whether your child is 3 or 13, time together as a family is important. Board games can be a good way to get the family together and off their screens and help nurture relationships. We’ve all be there. You are playing a friendly board game and someone wins… and that someone is not your child. There may be tears or screaming or some not so nice words or even a game piece or two thrown. But what do you do when your child is a sore loser? Here are some tips on how to teach your child to be a better loser. Stay calm. It might be really difficult for you to remain calm when they are throwing game pieces everywhere or screaming about their loss, but whatever you do, don’t start yelling back. Acknowledge what they are feeling. We all know that losing can be tough. Show them some empathy. Tell them that you know losing is hard and doesn’t feel good all the time. Have them talk about how they are feeling. Explain how chance works. Younger kids especially might not understand how a game of chance works. Explain how some things cannot be controlled and that losing doesn’t mean they did something wrong. Let them lose. Sometimes losing takes practice. While it might seem easier to let them win, they will never learn how to be a good loser if you do that. Model how to be a good loser. Make sure they see you congratulate the winner of the game, whether if it’s them or someone else. Family game night is coming and you need a board game. Keep calm and read on. We’ve got the perfect board game for your family. We’ve included board games for every age group, many that will entertain school-aged, teens and adults too! Because let’s face it, board games are fun if everyone is having fun. The Sneaky Snacky Squirrel is an adorable game, perfect for preschoolers and toddlers since it requires no reading skills. Players will simply spin the spinner and use their Squirrel tweezers to pick up the corresponding acorn. The first player to collect 5 acorns wins. 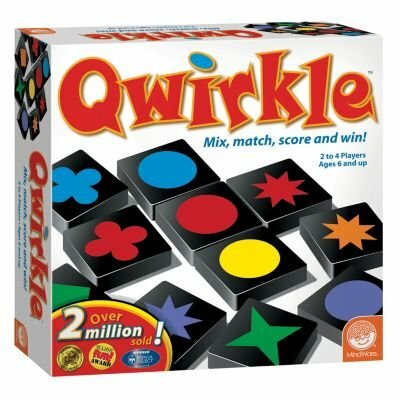 This game helps young kids work on their fine motor and matching skills as well as learning to take turns and counting. The game board is also the packaging which means clean up is quick and simple. Helps kids work on fine motor skills and hand-eye coordination. Packaging is the game board making clean up easy. Easy for kids to learn the rules; no reading required. A great first board game for kids. May not hold kids’ attention as they get older. 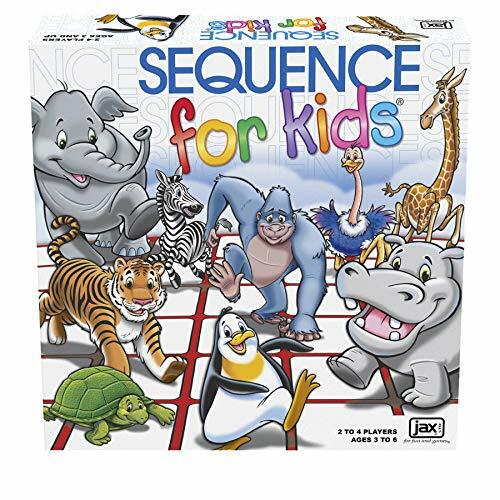 You know Sequence for adults. Well, this version is kid-friendly is easy to play and tons of fun. Kids are dealt a hand of cards and place markers on the corresponding animals in their hand. The player that gets 4 in a row wins. Easy to learn; no reading skills needed. Animal cards make this game fun. A great introduction to strategy games. Kids will grow out of this game pretty fast. Slide, build and win. Simple to learn and fun to play, Zingo will help kids learn how to build three three-letter and build their vocabulary all while having a ton of fun. This game comes with a Zinger (AKA a slider that holds letters). When the Zinger is swiped, a letter pops out and then the players shout to claim the letter to add to their board to create a word. When a player completes all of the words on their board they yell, ZINGO! 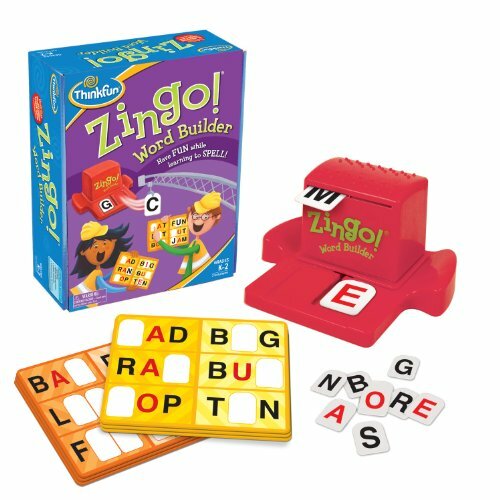 Playing Zingo will have kids learning spelling patterns as well as building their vocabulary in no time. Great way for kids to learn sight words. Perfect for early readers and pre-readers. Easy to learn and quick to start playing. Kids will learn only about 24 sight words. Who stole Mrs. Plumpert’s prized pot pie? Why a sneaky fox of course! But which one? This is the perfect whodunit game for young kids. Each player is a detective and will move around the board to find clues and use the Clue Decoder to see if they are on the right track. For parents who grew up playing Clue, this will have a similar feel. However, unlike Clue, this one is good for kids in Elementary school. A great introduction to a deductive logic game. Great for elementary aged kids. May take a little time for 5-year-olds to learn. This game comes with a whopping 108 tiles, a bag to hold the tiles and an instruction booklet. Keep in mind that players will need a pretty big space (such as a coffee table, kitchen table or even the floor) to spread out on in order to play this game. Easy to learn, quick to get started. Teaches matching skills, planning, and problem-solving skills. Will need a good size space to play on. 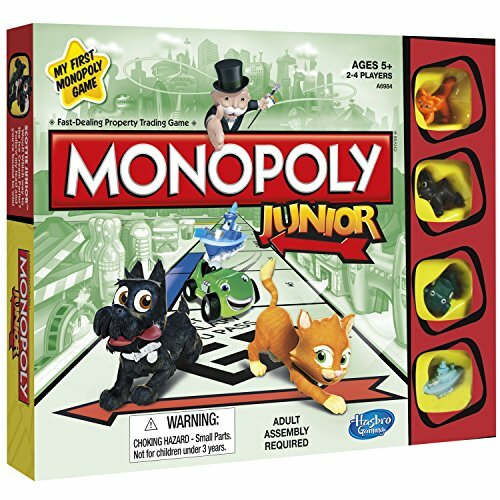 Kids will still be able to Pass Go and Go to Jail just like the regular version, but buying property is easy as the currency is just dollar bills. Players can choose from a larger more colorful version of the classic tokens which include a boat, a dog, a cat, and a car. And another plus, you won’t be spending hours playing this game either. Easier to learn than the regular version. The dollar bill only currency makes transactions easier. Fun buildings to buy that will interest kids. Some of the parts such as the playing board could be more durable. This game has a playing time of about 30 minutes and requires at least 2 but no more than 4 players. To win, players move around the board to find their treasures and bring them back to the start first. This is another quick to learn and quick to get started playing game that the whole family will love. Teaches kids about strategy and planning. Kids might get bored of it after awhile. The game is simple to learn too. Each player is dealt 5 red cards and a “judge” chooses a green card with a word on it. Then each player tries to make the craziest comparison and the judge chooses which one is the best. That person who wins the round takes the green card. The first person to get 4 green cards wins. Great for building kids vocabulary. Fun for both kids and adults. Has pop culture references kids (or adults) may not understand. This board game isn’t a quick one. You’ll need about an hour to play it. But older kids won’t mind once they get started. This game tends to be highly addictive. 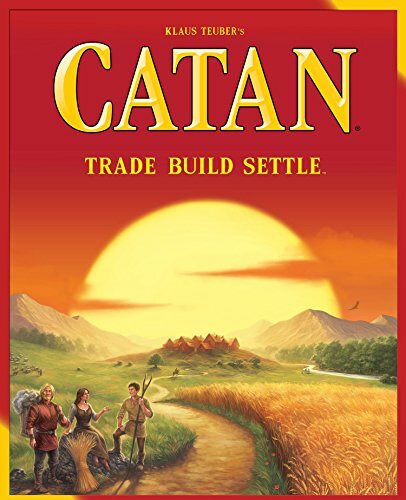 Players will build, settle and grow on the island of Catan by acquiring resources such as wood, brick, and ore. Players will also build roads, grow grain and trade. But watch out for robbers and other players who might take over your land. 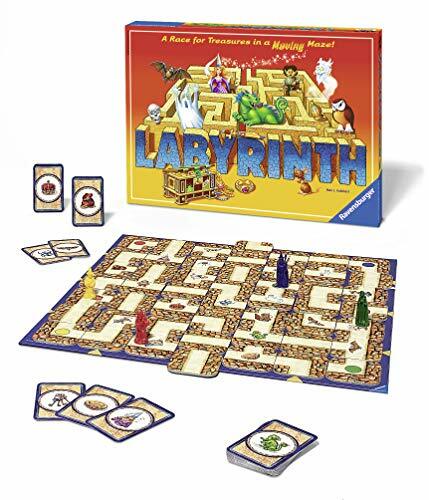 Teaches kids strategy and problem-solving skills. Rules can be modified to accommodate younger kids. Might take some extra time for kids just learning how to play the game. Takes an hour to play. Need a few minutes to bond with your teen? How about just 15 minutes? Then you have enough time to play a quick game of Codenames. Whether it’s with family or friends or both, this competitive game is great for parties and best played with a group big enough to divide into two teams. Players break up into two teams. Each team has a player that is called the Spymaster. There are 25 cards that are laid out in front of the players that have a word on them. Spymasters take turns giving one-word clues so that their team can collect the cards. Trust us, it’s a fun quick game that will entertain and want your teen playing another round with you. Great for big groups and parties. Not as fun with a very small group of people. Q: Where’s Candyland? Uno? Clue?! A: We know, we know. And we get it. Those are all great games, and while they are undoubtedly classics that all kids should play we included newer games that some kids (and adults) may not have been exposed to. Besides, have you seen a parent’s face after the 15th round of Candyland? We wanted to show you something new! Q: My kids are always losing pieces to board games. What should I do? A: The struggle is very real. So how do you stay organized so no pieces go missing? Keep board games in one room only. Store them where they are played. Keep the pieces and instructions in a different container. Rather than store all the parts in their original box put them in containers or bags that are clearly labeled. If you haven’t played a game for more than 6 months, consider donating it. Designate a bookshelf or storage container to put all the board games in. Check out this video for some other ideas on how to stay organized! So which is the best? There is no one answer. 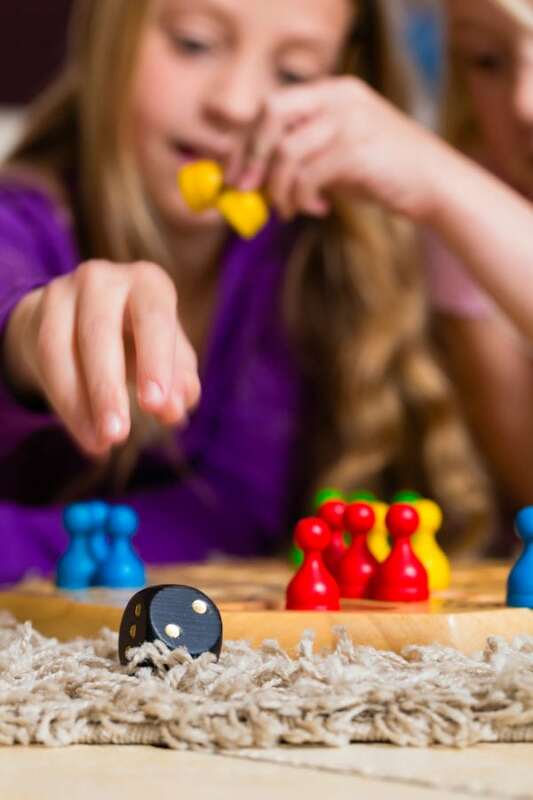 There are a lot of great games out there for all ages and we made sure to include games on our list of best board games for kids, for groups, for preschoolers, for teens and more. 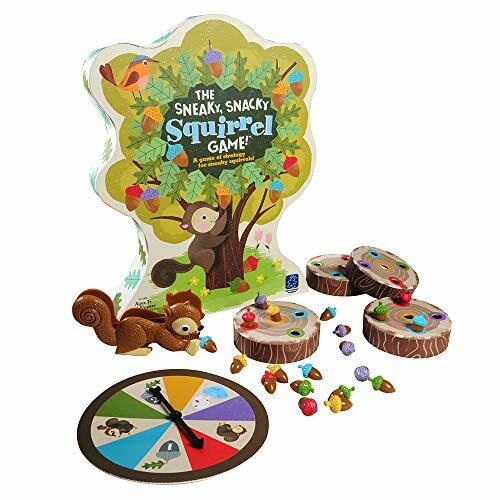 For a great introduction to the world of board games, The Sneaky Snacky Squirrel is perfect for your toddler and preschooler. Need a few minutes of bonding with your teen? 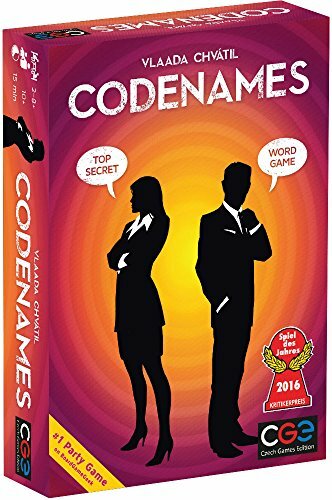 Check out Codenames. How about a classic that with a twist? Monopoly Junior it is! No matter which board game you choose, your next family game night is sure to be a fun one.